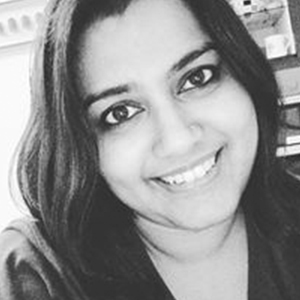 Smitha Gopalkrishnan is a Communications Specialist currently working with 3M in Bangalore. A Gold Medalist in Mass Communication from Hyderabad Central University, Smitha has worked as a communication professional across various media: print, video, and digital but her passion has always been to do something meaningful and impactful whether it is for employees in an organization or people in a community. Her educational background in development communications came to a full circle when she got the opportunity to develop and build the Corporate Social Responsibility program for 3M in India. One of the proudest initiatives that she has worked on is 3M’s Young Innovators Challenge, an initiative currently in its 5th year that she has helped create and shape the organization. She is also an active member of driving the Women’s Leadership Forum at her organization. When she is not working to find ways to align corporate brand and community efforts to create more meaningful impact, Smitha is usually involved with the creative arts, self-help books, yoga, music, travelling and journaling. While she spent her formative years in Oman, Bangalore is a place she calls home. Smitha is passionate about museums and galleries and believes art and empathy can break down stereotypes and barriers in understanding and bring people together. Her hope is to contribute to capturing people’s histories and narratives and develop them into public creative expressions that different communities can engage with to understand and celebrate their diversity. Smitha joined Amani to help find the courage to define her purpose and drive her passion.